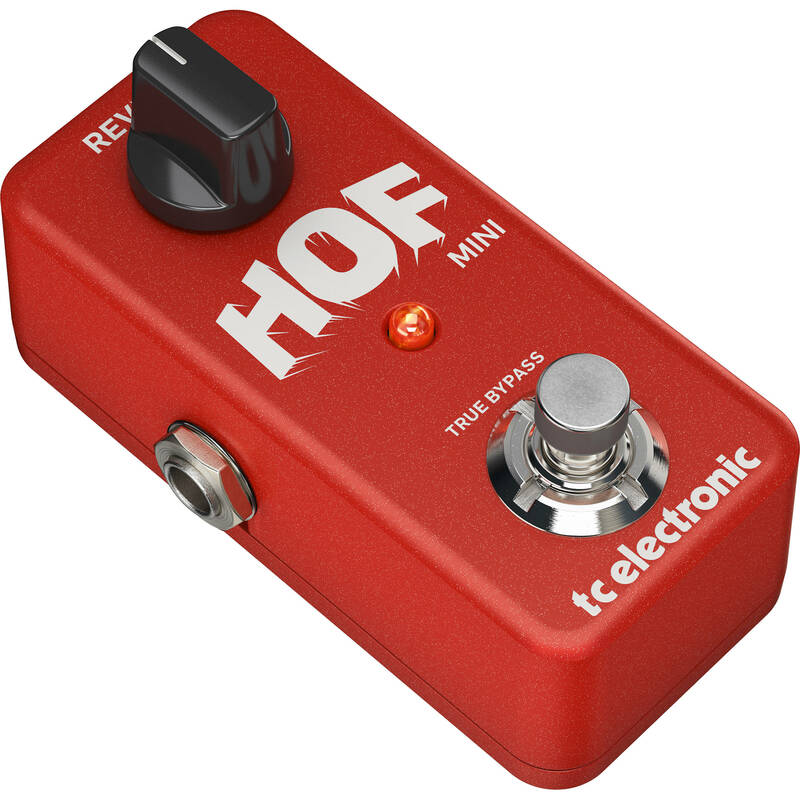 Fit multiple halls of reverb onto a tiny portion of your pedalboard with the TC Electronic Hall of Fame Mini, a stompbox designed for electric guitars. Though the pedal provides only one control—a knob for dialing in the amount of effect—it offers a wealth of tones. By default, TC Electronic's Hall of Fame reverb is loaded onto the pedal. However, you can use TonePrint technology to load many different types of verb onto the stompbox. Indeed, use the TonePrint Editor to gain full control over effect behavior and type. Create your own reverb sounds with their own controls, and then use the TonePrint App to beam your custom setting to the pedal with an Android or iOS device. Analog dry-through circuitry is employed, ensuring the original signal is unprocessed as it passes through the pedal. This pedal requires a separately available power supply to run. Included with the Hall of Fame Mini Reverb is a USB cable and a sticker.